Thanks to all who took the survey & congratulations to our winner! The number of responses (969), represents an increase of 4%, up from 928 in 2010 and 823 in 2007. 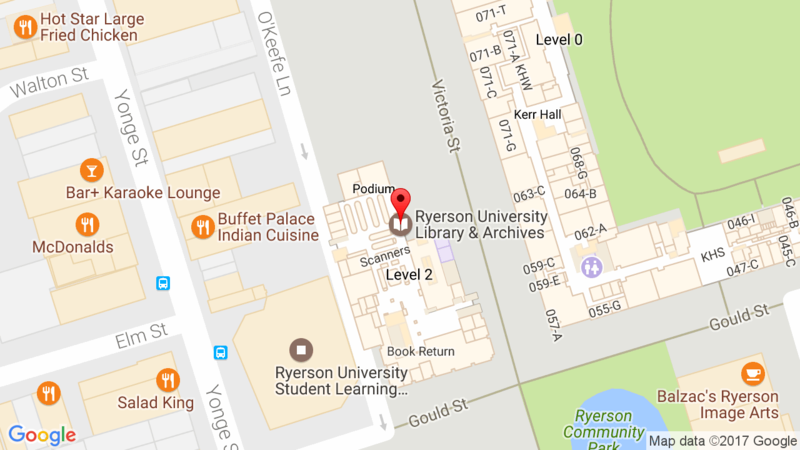 As with the 2007 and 2010 surveys, the respondents were highly representative of the Ryerson community. Since the first LibQual survey, run in 2007, we’ve seen great improvements in user satisfaction with service quality, and with our collections and access to resources. Between 2010 and 2013, the library implemented “Search Everything” with the goal of making library resources more easily discoverable for undergraduate students. Improvements to the library’s approval plan, which is used to determine which books are acquired for the library, and ongoing deselection to remove out-of-date and duplicate materials, have contributed to the quality and ease of access to print library collections. Although we have also made improvements to our physical library space, we have been working with the same amount of square footage while growing our student population steadily since 2007. 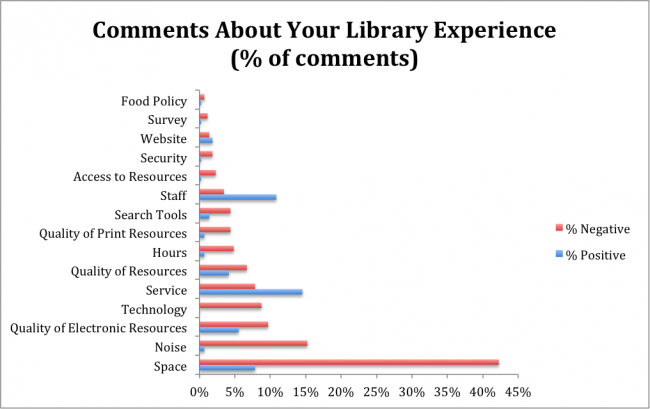 Increased competition for the same amount of library space may explain the continued trend of declining satisfaction with our space. The opening of the Student Learning Centre (SLC) in early 2015 is expected to provide both better and more library space for our users. The above chart shows a trend towards more positive scores in the 2013 results in most areas, with the exception of space. Focus was placed on improving collections and access to them. “The printed library materials I need for my work” was the single most improved item between 2010 and 2013 LibQual+ surveys. A primary goal of our “Search Everything” implementation (2011) was to provide an easier way to find the Library’s print and electronic resources. “Easy-to-use access tools that allow me to find things on my own” was the second most improved item within Collections and Access. “Giving users individual attention,” “employees who understand the needs of their users,” “employees who are consistently courteous,” and “readiness to respond to users’ questions” are the 2nd through 5th most improved items. Initiatives such as the “Book a Librarian” service are providing expanded opportunities for one-on-one research help, and the added staff during the start of term via the new iDesk have improved interactions with our staff at peak times of the academic year. 433 of our 969 respondents (44.6%) left an open-ended comment.